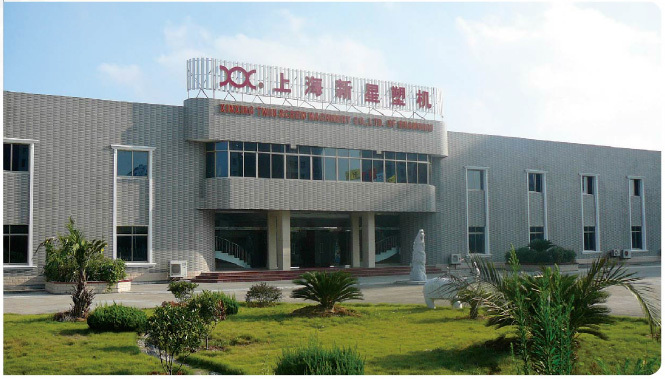 Established in 1991, Shanghai Xinxing Twin Screw Machinery Co., Ltd. is a professional manufacturer in plastic machinery field. With strong capabilities in R&D, design and production, we are specializing in producing a wide range of plastic machinery and spare parts. Our technology in producing barrels and screws, the heart of extruders, is taking a leading place in China for continually absorbing international advanced technologies. Our extruder lines are popular in China and well acceptable by customers around the world. Meanwhile, our Xinxing brand plastic machines are also exported to such regions as Southeast Asia, America and West Europe. With more than 10 years' experience in machine manufacturing, we have acquired advanced technologies and developed SJSZ-45 (50, 55, 60, 65, 80, 92) series of conical twin screw extruders. This series of extruders feature excellent compounding ability, high output, stable operation, wide application range, long service life and PVC powder direct processing. These products also can be used in the production of pipes, profiles and sheets with suitable die and accessory machines. We aim at providing high quality, preferential prices and best services for our customers. Now, we are constantly looking for opportunities to build new business relationships with companies from around the world. If you are interested in any of our products, please feel free to contact us for more information. We will do our utmost to supply you with first-class products and services. Copyright © 2005 - 2019 Xinxing twin screw machinery Co., Ltd All rights reserved.